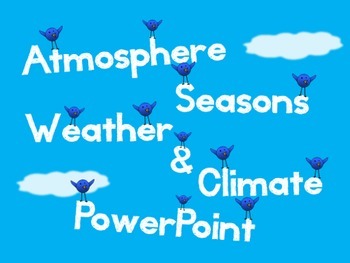 Atmosphere PowerPoint - Atmosphere, Seasons, Weather, Climate and More! This portion covers what the atmosphere is, its composition, and a review of the layers of the atmosphere. This portion goes over what weather and climate are, the differences between the two, and the tools used to predict and study each. This portion covers direct vs. indirect sunlight, the impact of latitude on climate, and seasons (including what seasons would be like on planets with different tilts). This portion goes over what air pressure is, the relationship between air pressure, wind, and convection, and the characteristics of low pressure and high pressure systems. 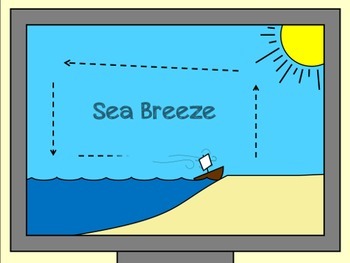 This portion covers the Coriolis Effect – a tough topic covered masterfully through the use of metaphor and high quality illustrations and animations. This portion goes over global wind patterns and why they are the way they are. Another tricky topic made much easier with quality visuals. This portion covers what topography is and the impact of topography on climate. 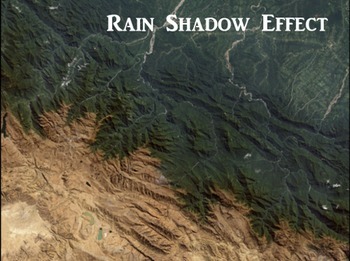 Specific topics include the rain shadow effect, elevation, land breezes, and sea breezes. This final portion teaches about air masses and weather fronts – specifically using the United States and its accompanying major air masses as an example. Teaching this material in my own classroom typically takes around six class periods of around fifty minutes each. I don't teach it all straight over six days because I like to break it up with other activities and assignments, but all in all it will take a good five to six days to cover well. Included with the PowerPoint is a slick looking student note sheet that students can be filling out as you go through the presentation. I have included both a blank copy and a filled in version of the notes. Also included is an extensive (probably too extensive) teacher's guide (24 pages long…) to help guide you in best using the PowerPoint in your own classroom, or at least how I use it in mine. I absolutely love this PowerPoint, and my students do to, but you don't have to take my word for it - download the free preview version now for a sneak peek. Just remember, the real deal is much larger and much more detailed, with over 200 slides. Anyways, I hope that both you and your students enjoy your download and that it is helpful in your classroom. Please be sure to leave feedback so that others can know what a great product this is, and be sure to become a fan and follow me so that you can get information on future releases. Thanks! Note: This PowerPoint uses several non-standard free fonts quite extensively. Where possible I have embedded these fonts into the PowerPoint directly, meaning that they will show up just fine without any action on your part, however there are three fonts where this is not possible: “AlphaClouds”, "Illuminate", and “Storm”. 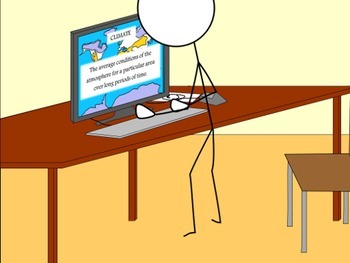 All three are free to download and will take you a total of 2-3 minutes to find, download, and install on your computer. I definitely recommend going out and getting them for yourself, but if you would prefer then feel free to go through and change the fonts to something that better suits your preferences – just don’t be surprised when the formatting looks off in these few places!